Box Dimensions (LxWxH) 6.45 x 3.6 x 2.65"
MOMENTUM True Wireless Bluetooth In-Ear Headphones is rated 3.8 out of 5 by 4. Rated 5 out of 5 by Yurui from best in class superb sound paired with very comfortable fit. this is the best true wireless bluetooth headphones to own right now. Rated 3 out of 5 by Diane from Great sounds, lacks decent connectivity Incredible sound, great hear-through function, but why on earth would you limit connectivity to just to one device. Yes, I know you can pair it with another one via the BT menu, but why not allow to connect to two devices at a time and have more devices listed in the app for switching via the app? Rated 4 out of 5 by Alejandro from Buenos audífonos, micrófono regular Los audífonos funcionan bien, a veces el micrófono no funciona bien , pero por momentos. Rated 3 out of 5 by Catherine from Sounds awesome but overall has some cons As a female I was unsure how these would fit and look. But I was buying them for their sound and ability to block ambient sound. My right ear is a slightly different shape than my left ear. The left ear, a more standard shape, fit pretty well AFTER I replaced the ear tips with a Comply foam tip. I can get a pretty good seal and it is comfortable. The right ear does not fit as well meaning I seldom get a good seal, even with the foam tips. 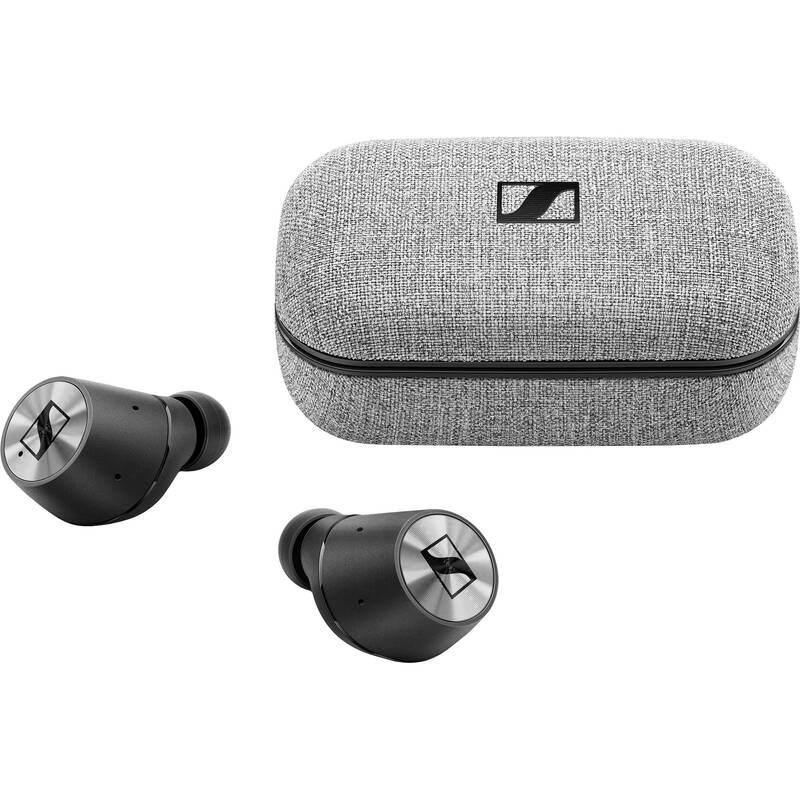 Neither of the tips (Sennheiser nor Comply) are very deep, they do not go very far into your ear canal so again, although these sound amazing if you can get a good seal, I seldom can. Also, on me the right one hurts my ear as I keep fiddling with it to get a good seal. I was surprised to find these would not work with my older android tablet, they are not compatible with the software version. Ok, so I have to use them only with my iPhone 6. But I have to go into the Sennheiser software on the iPhone to pair them every time I want to use them. Every time. Its annoying. Sometimes it takes a lot of effort to get them to pair, other times it pairs quickly. No pattern as to when or why yet. I have not seen anything special or different than any other bluetooth device as far as working distance from my iPhone. Transparent hearing. I dont know if it is because of the (lack of) seal I get but there is not much of a difference between when I have it on or off. Would I buy it again? I dont think so, but I want to stress they have amazing sound. What is the range on these? Sennheiser offer no specifications but independent testing shows that these headphones have an amazing wireless range. You&rsquo;ll be able to leave your Bluetooth source at one spot and move around in a small office or apartment without too many problems. These results may vary depending on your Bluetooth source. Also, you may experience even better range than what we measured if your source is Bluetooth 5.0 compatible. Wireless range with obstructions may vary from about 45 to 160 feet depending upon walls, furniture, and obstructions.